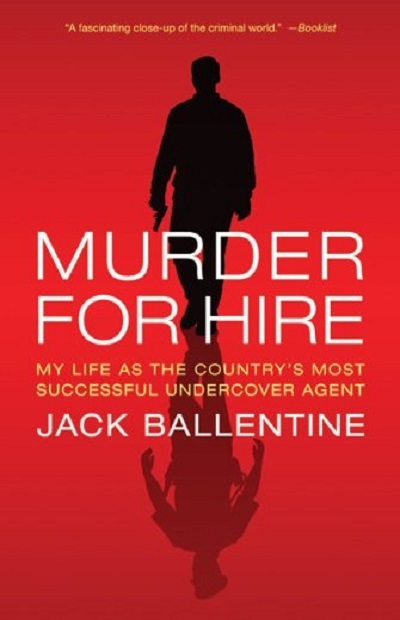 After joining the Phoenix Police Department in 1978, Jack Ballentine quickly rose to the top as one of the nation's most sucessful undercover operatives. His specialty: posing as a hit man. Ballentine led a schizophrenic life, changing assumed identities at the drop of a hat as he developed a network in the criminal underworld and was "hired" to kill business partners, spouses, or, in one case, a couple's son. In twenty-four cases, he produced a 100 percent conviction rate on murder conspiracy charges. Murder For Hire details his most shocking assignments while also showing how he balanced his rouch-and-tumble assignments with the demands of his personal life as he built a family with his new stepson. Ballentine's story is a gritty and revealing look at how law enforcement delves into the heart of the criminal world.